Ex-AidArmor (エグゼイドアーマー) is a Kamen Rider Ex-Aid-based form accessed using the Ex-Aid Ridewatch, invoking Kamen Rider Ex-Aid’s Action Gamer Level 2, and wielding the Gashacon Breaker Breakers (ガシャコンブレイカーブレイカー) Much like Ex-Aid himself, the armor can generate Game Areas and create item blocks as well as grant its user great agility and jumping ability. Depending on whether it is used by Zi-O or Geiz, its visor spells out “Ex-Aid” (エグゼイド) in katakana or “Ex-Aid” (えぐぜいど) in hiragana, respectively. Additionally, the “HIT!” and other effect words that are projected are in katakana (ヒット！) or hiragana (ひっと！) rather than in English. 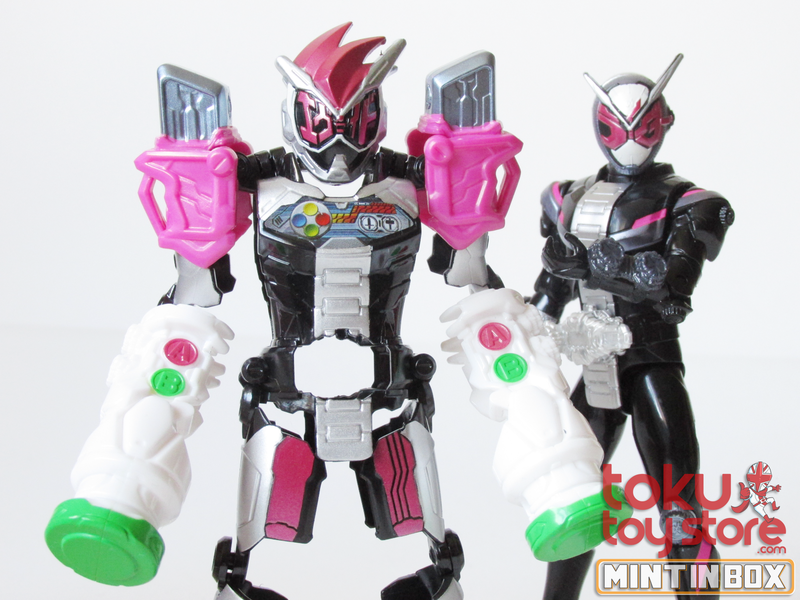 Each of the Rider Armor figures is available from Toku Toy Store at £19.99 each. 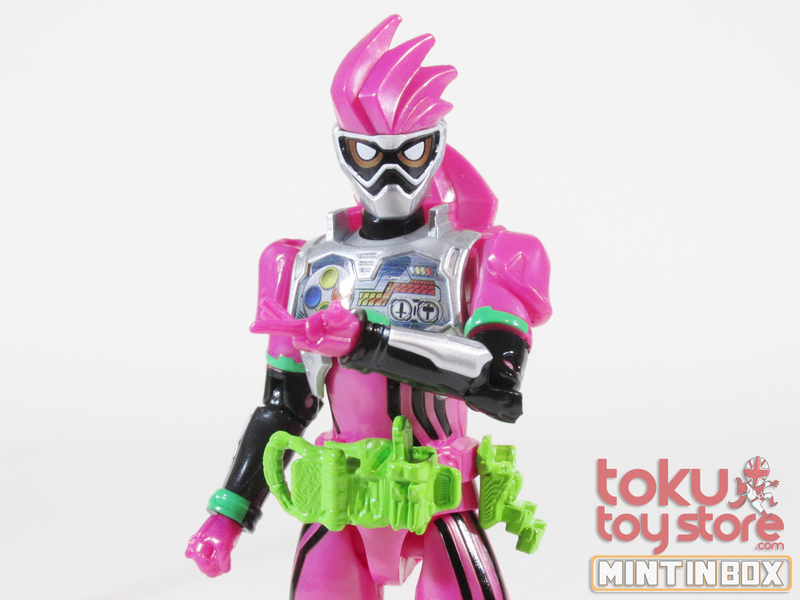 Stay tuned for further Rider Kicks Figure reviews and galleries! Kamen Rider Zi-O is off to a running start so far, cramming character development, lore, and more into just the first episode. Now, following up on that fantastic debut, the show is in full swing with no signs of slowing down. 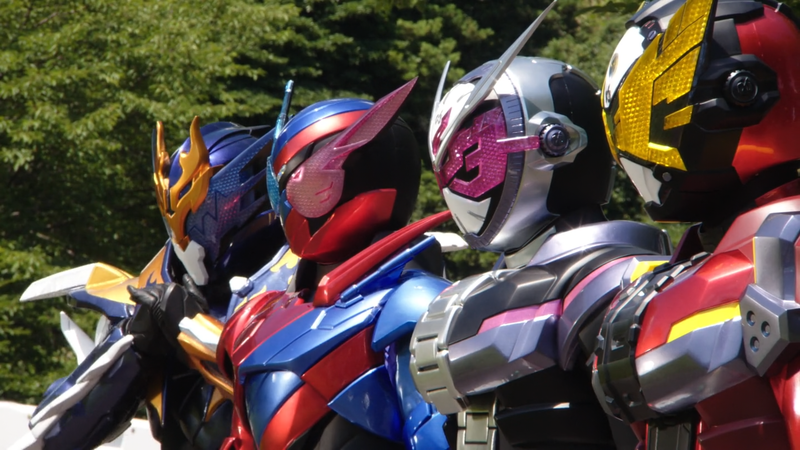 This second episode focuses heavily on Build, Cross-Z, and the impact of time travel on history. Another Build makes a return, and a new Rider Armour makes a debut. Just like before, this episode is packed, but the emphasis is heavy on action this time around. When Another Build returns, this time with a regeneration ability, Sougo and Geiz have a tough time taking it on. Continually absorbing powers, Another Build becomes so strong that it is unbeatable. This takes about a year, beginning in 2017 in Build’s timeline, and after a brief combat encounter, Sougo and Geiz time travel back to 2017 to stop Another Build from gaining that power. 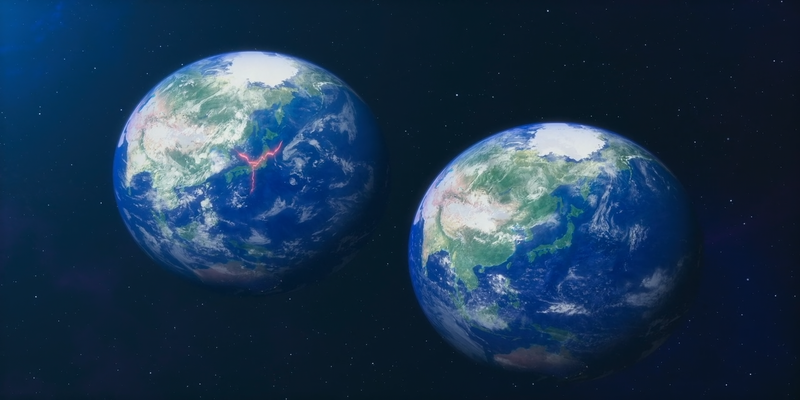 Thankfully, the consequences of time travel are at the forefront here, as both Sougo and Geiz end up using powers drawn from Sento and Banjou, in the form of the Build and Cross-Z Ride Watches. One of the biggest questions they end up asking after, though, is how Sougo got the watches in the first place. Overall, this episode is excellently crafted, heavy on well choreographed action scenes, and shows that the series is not afraid to tackle high-concept ideas in science fiction. This keeps the bar set high for the rest of the series, and with the next episode focusing on Ex-Aid, we are off to a strong start that will carry forward for the whole run of Zi-O, in the best case. Who would have thought the future Demon King of the human race would be bad at video games? Shortly after Geiz and Tsukuyomi rent out the spare room in Sougo’s house, one of Sougo’s friends falls ill while playing an “Unbeatable” game on his GENM-branded game system. The game? Mighty Action X. Following advice from Woz, Sougo takes his friend to the Seito University hospital, where they meet the genius surgeon, Kagami Hiro, who tells them the symptoms Sougo’s friend has are increasingly common, but the cause is unknown. No mention of Game Syndrome is made, but a link to Mighty Action X is suspected. Based on this, it’s safe to assume Sougo arrives somewhere towards the beginning of the Ex-Aid timeline. As they begin to do more and more research, they are finally confronted by Another Ex-Aid, whose design is equal parts lazy, clever, and hilarious. The comparison has been made endlessly, up to this point, but I will include it here. Another Ex-Aid uses elements of Ex-Aid’s level 2 form and his final form, Hyper Muteki, to make something that looks a bit like The Predator, from the film series of the same name. Before they make too much more progress, though, they need more information and return to the hospital. It’s here that another of the easter eggs in this episode pops up, as they find the Genius Gamer M’s notes about Mighty Action X on the desk of pediatric doctor Hojo Emu, whom veteran fans will know better as Kamen Rider Ex-Aid. The notes are written in German, instructions for inputs on the game that translate to the Konami Code. When Sougo uses the notes, he clears level one of Mighty Action X, and they end up sucked into the game. It’s here we meet Emu, and then the episode ends on a cliffhanger, getting ready for a fight. Overall, this episode is fantastic like the previous ones, but ends rather abruptly after building a great deal of excitement. Episode 4 will continue the Ex-Aid arc, followed by a combined Faiz and Fourze arc for episodes five and six. What did you think of these episodes? Is Zi-O everything you hoped it would be? Leave your thoughts and let’s discuss! The Game Master returns! 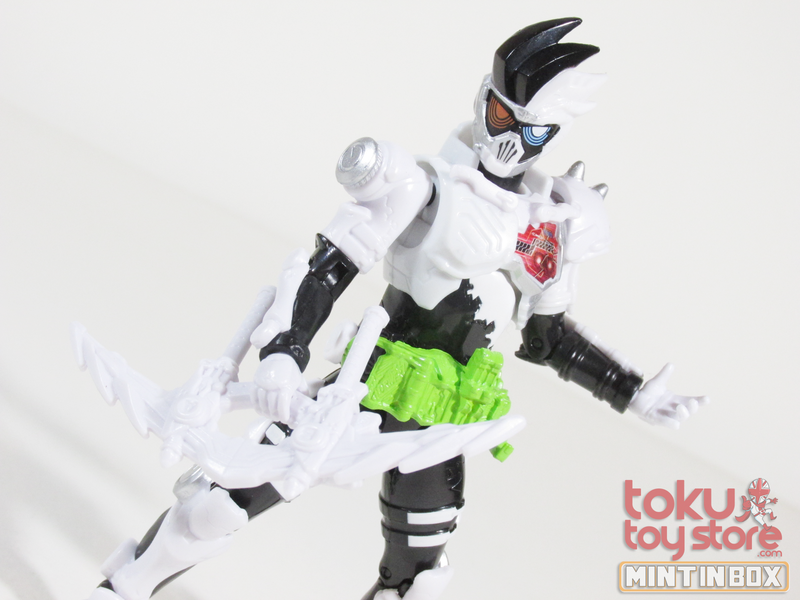 Bandai has recently announced that kami-sama himself, Shin Dan Kuroto, will be getting the S.H. Figuarts treatment in the form of not one, but two S.H. Figuarts! Dan Kuroto will and Shin Dan Kuroto have both been announced for release. Dan Kuroto is highly detailed, featuring a facial scan of actor Tatsuya Iwanagi, and Shin Dan Kuroto is decidedly more like something out of anime or a western cartoon. It’s silly, it’s over the top, and it couldn’t be more perfect. The press release photos show the figure in various poses, each channeling the Game Master flawlessly, and the face includes an almost unsettling amount of similarity in expression to the actor himself. The production model is sure to lose some of that quality, as all human-faced figures do, but it is still quite a sight to behold. See images below. S.H. Figuarts Shin Dan Kuroto so far does not have a price, and pricing will be announced in the near future. Per the pictures, the figure will include the Continue pipe as well as a miniature version of the Dangerous Zombie Gashat. 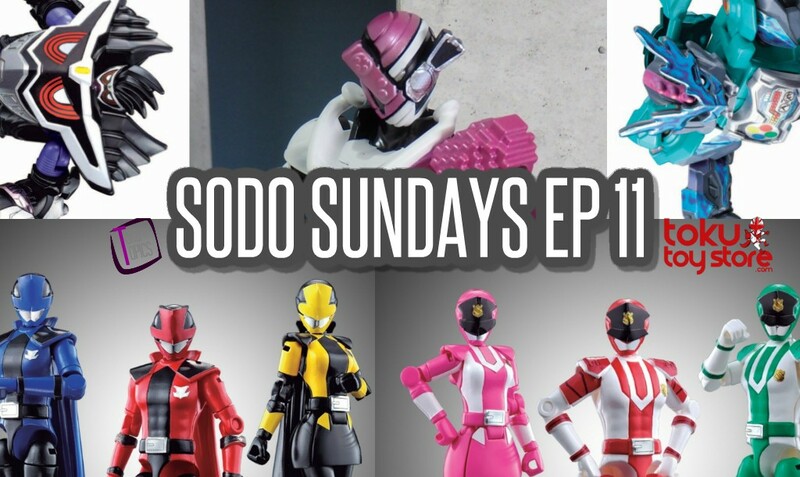 Toku Toy Store will be accepting preorders for this item once pricing is released. This article will be updated once pricing is released. What other Kamen Rider characters would you like to see with the actors likeness? Let us know! Thought you were done with Kamen Rider Ex-Aid? Toei aren’t done with the doctor gamers yet! Some interesting Ex-Aid news has been announced by Toei in the form of a novel series being published by Japanese publishing company, Kodansha. From what’s been announced so far, the novel is set sometime after the events of the Another Ending V-Cinema Trilogy. The writer for the novel series is Yuya Takahashi, who was also the head writer for the series and the first book is due to be released at the end of June. The title for the series is “Mighty Novel X” and is said to reveal the past and future for a character but we’re unsure as to which character that is yet. Kodansha has been known to be publishing Kamen Rider novels for a few years now and their recent ones have been supplementary material to V-Cinema releases. 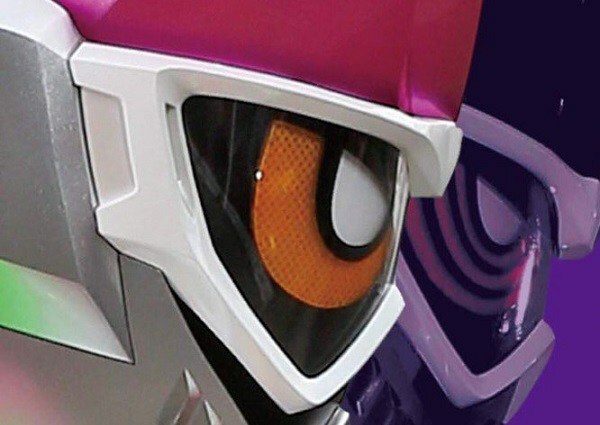 Are you excited to read about Ex-Aid’s continued adventures? What other Kamen Riders would you like to see in the series? Let us know in the comments below!